After the collapse of Roman rule here in the fourth century, wave after wave of Germanic invaders made their way up the river valleys. They were led by petty chieftains who selected promising locations for settlement. These newcomers associated Roman culture in general, and city life in particular, with decadence. They took pride in a hard life. To pursue manliness they cleared areas of forest, lived in wooden huts, kept sheep and cattle, ploughed the soil, planted grain crops and and hunted. These forest clearings were called “leahs” and the word still survives as a suffix to many local places including Otley, Ilkley, Burley and Shipley. The precise date, during the seven hundred years of barbarian invasion, when Gislic created his new settlement here cannot be determined. He sited it a mile or two from the nearest river and might have been drawn to the spot after noticing the abundant supply of fresh water provided by the spring which for centuries in the future will feed the village well. “Gislic” is a diminutive, a pet name, which the Saxon chief who came here continued to use in adult life. The survival of the new community was problematic, rather than guaranteed, but Gislic’s leadership was efficient enough to ensure its continuance after his death. The pioneering efforts of this blond – haired Angle are commemorated in the name given to his village, Gislic’s leah, or Gislic’s glade. The earliest Guiseley Cricket Club can be traced back is to 1853 with a newspaper cutting advertising a game between the “Kirkstall Education Cricket Club” and the “Guiseley Union Cricket Club” dated 22nd August 1853. It is believed that the club was in existence long before this date. In 1880 an Aireborough Guide (circa 1950) leaflet quotes “Guiseley United CC ground near the Commercial Inn (now the Yorkshire Rose) which later became the home of Guiseley St Oswalds CC from which, according to the note Guiseley Cricket Club was formed and subsequently played there for a few years”. 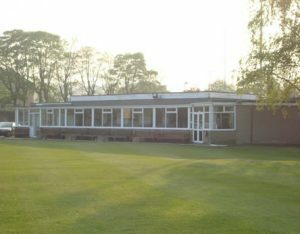 Guiseley was one of the founding members of the Airedale and Wharfedale league which, was formed during the winter of 1892 and began as a competition in 1893. 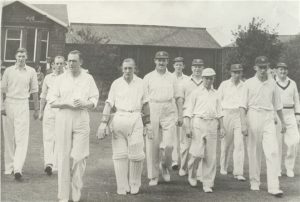 The league competition lapsed in 1916 during the great war and Guiseley (amongst others) joined the Yorkshire Cricket Council League comprising of some 90 clubs. In 1933 the name of Norman Threapleton (Club President and A&W.S.C.L Vice President) appeared on the team sheet where it was to stay through out his long and distinguished career at Guiseley. 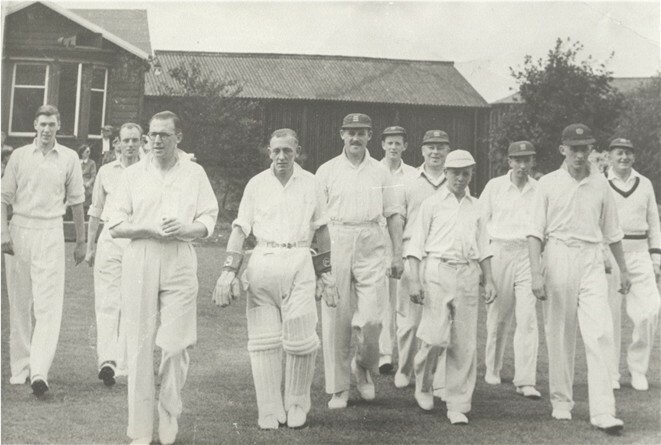 Other ‘famous cricketer’s’ to grace Guiseley Cricket Club and to go on to represent county/country are the irrepressible Brian Close (1946/47) and Jack Van Gelowan. Jack went on to play for Yorkshire and Leicester in the late 1940’s and 50’s having the distinction of taking 100 first class wickets and 1000 runs having started at Guiseley and made his first team debut at the age of 16. TeamDuring the 1960’s Guiseley the good times rolled with the 1st eleven League Championship being held at Nethermoor in 1965, 1966, 1967, and 1969. The Waddilove Cup found its way to Nethermoor Park in 1961, 1963, 1965, 1967 and 1966 as well as the second eleven league in 1960 and the Birtwhistle cup in 1968. 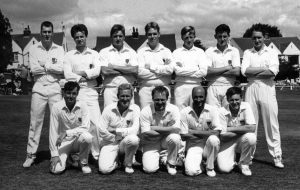 This was undoubtedly Guiseley’s finest period of cricket success spanning a decade since the club first entered the A&W.S.C.L back in 1935. 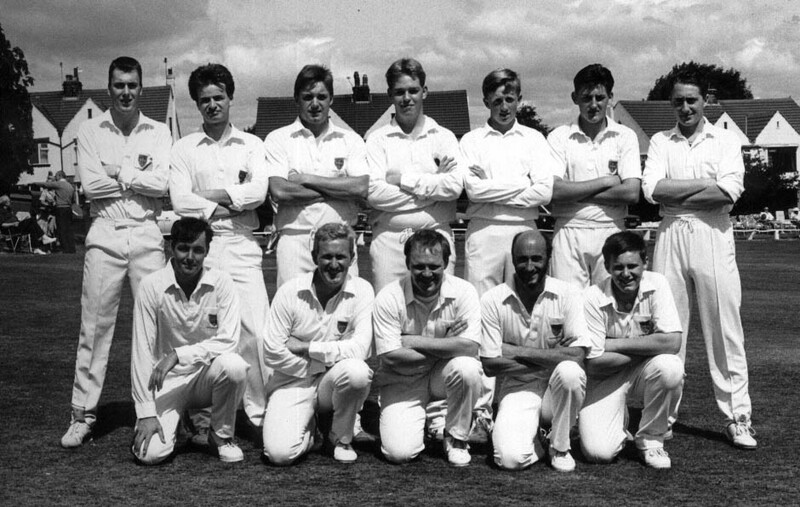 The Second Eleven had a very successful 1980 and 90’s winning the League in 1980, 84, 86, 87, 90, again in 1994 and recently in 2002. The Birtwhistle Cup was also won in 1990, 1998, 1999, 2000 and 2001 (a League record four Cup wins in succession).